Taking the old floor off. After staring at the heap ‘o junk for several weeks, the next step was getting all the torn down bits off and to the dump, burn pile or re-purpose pile. 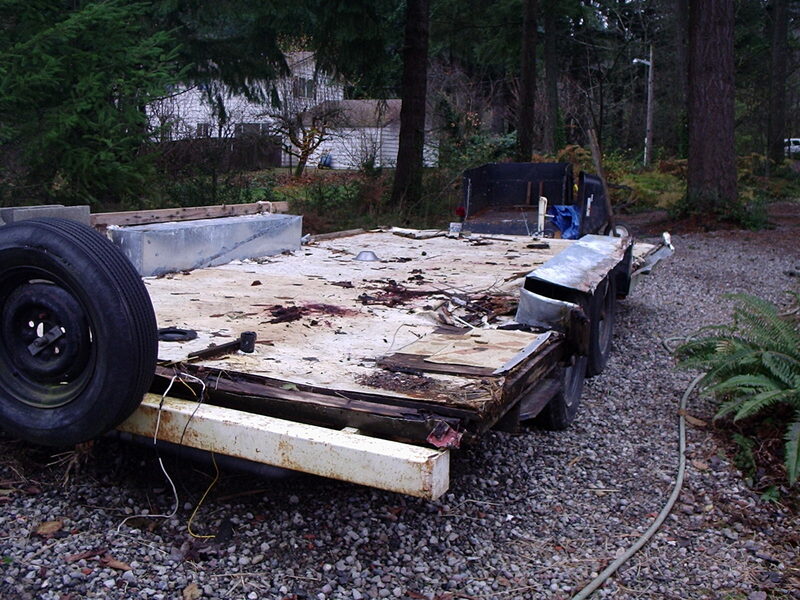 NEVER trust a friend’s teenage son to “help” with deconstruction unsupervised, or you too might face this. I though he was old enough to be responsible…. Now to get the old flooring and subfloor off. Looking much larger without the junk on it. Nasty, eh? 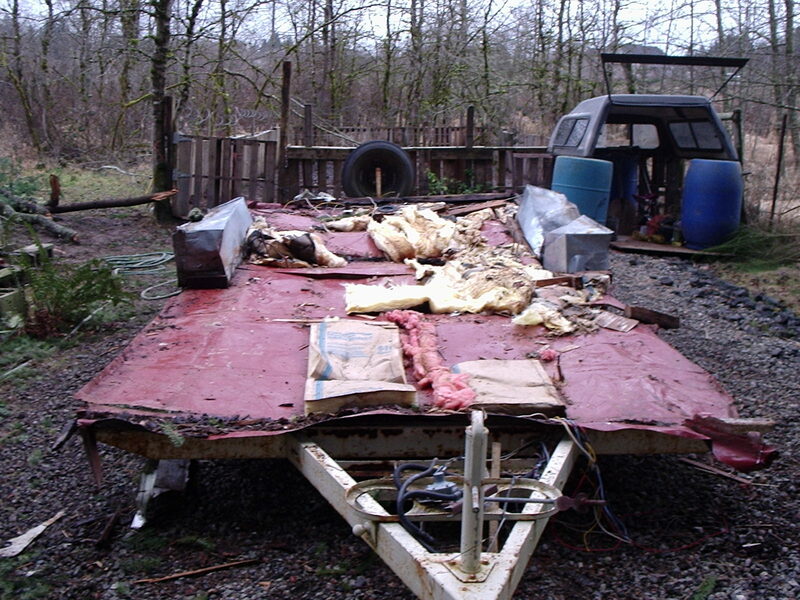 That’s what happens to old RVs, campers, travel trailers and whatnot after living in the Pacific NW all their lives. Rot, rust and mold. Back when I embarked on this project, I determined that my housing would need to be well-insulated for my property on the mountain, and leak-free for while living here. I knew I’d have to do better than a pre-built home. 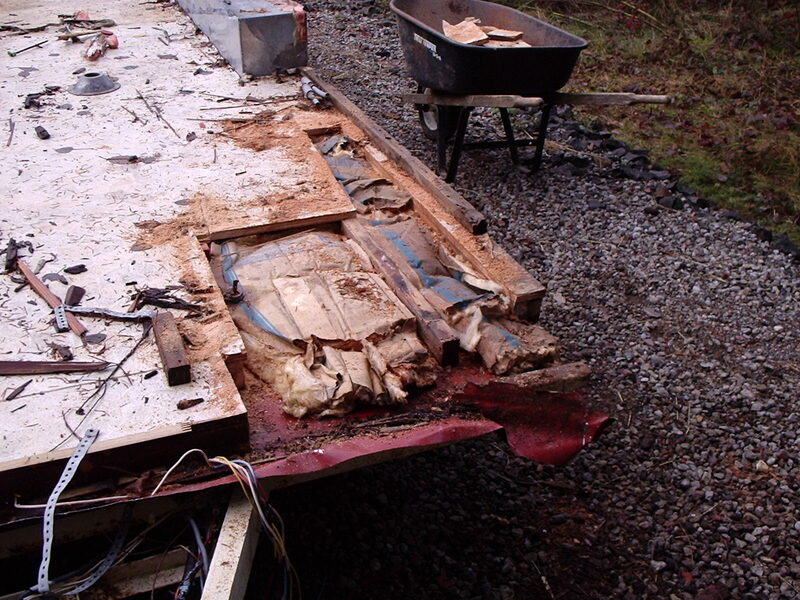 There was much less rot than I expected – and the wood was much thicker, too! Now to get that torn up flashing off! Oh, notice that old barn is now torn down? 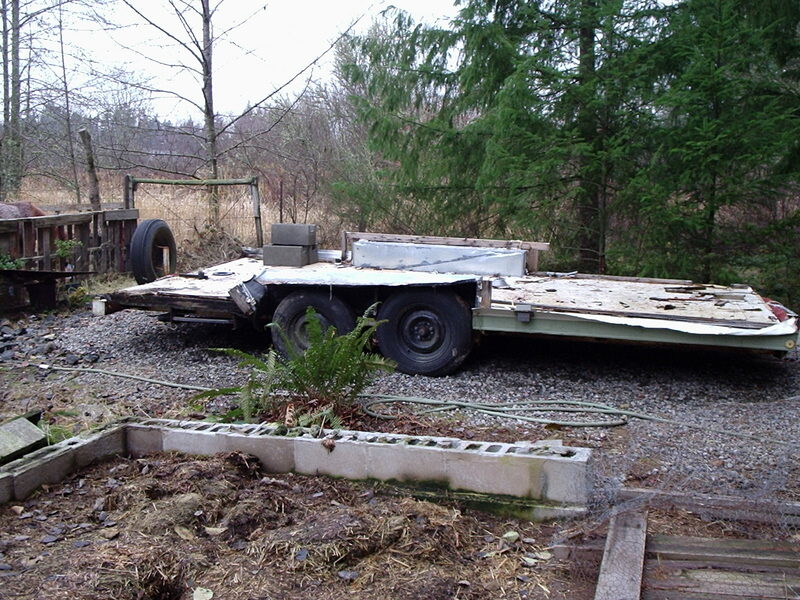 ← Another Tiny House blog for your consideration.